Operating ball valves, water purge and slurry gate valves on delayed coking unit process valving. Operating conditions in any refinery’s delayed coker units are extremely severe. Inlet temperatures of the residual oil flowing through the transfer line into the coke drum exceeds 700° F (375°C). During the filling of the coking process, torques are high and tend to increase as the process media builds up in the valve’s wetted parts. The process of coking requires multiple actuators to perform a sequenced series of valve strokes to divert process in a precisely timed event. This sequenced event is controlled by a programmed logic command and must be executed at each actuator reliably and consistently every time. This decoking cycle occurs at regular intervals every twelve to eighteen hours. Upon completion of the cycle, feed is switched to a second drum while the filled vessel is being decoked. During the coke removal process, there is a high level of vibration and water hammer effect as the coke is drilled out by high pressure water jets blasting the coke residue from the lines and coke drums. The introduction of high pressure water into a 700 °F piping system creates rapid expansion and temperature fluctuations. The coke product naturally has traces of sulfur which can be corrosive when subjected to water during the unit wash down. Wash down is necessary due to the abundance of abrasive airborne coke dust that covers every surface within the working coke process unit. The coke dust not only creates challenges for corrosion protection but also builds up in small crevice spaces and impedes instrumentation functionality. Actuators operating the switching and recirculation valves are subjected to all of these harsh conditions. As such, the Meantime Between Failure (MTBF) of competitors’ actuators in this service has ranged from as little as two months to approximately one year. Valve and/or actuator failure results in unscheduled shutdowns of the coker units and unplanned service repairs or replacement. Actuator failure necessitates manual valve operation and extra manpower. More importantly, process time is extended and, since the coke is used as feed stock in Fluid Catalytic Cracking (FCC) units, production can be curtailed. Production has increased since installing EIM actuators and maintenance cost has been reduced. The use of EIM 2000 M2CP actuators in this application has been successful due to its robust design and protective coatings. 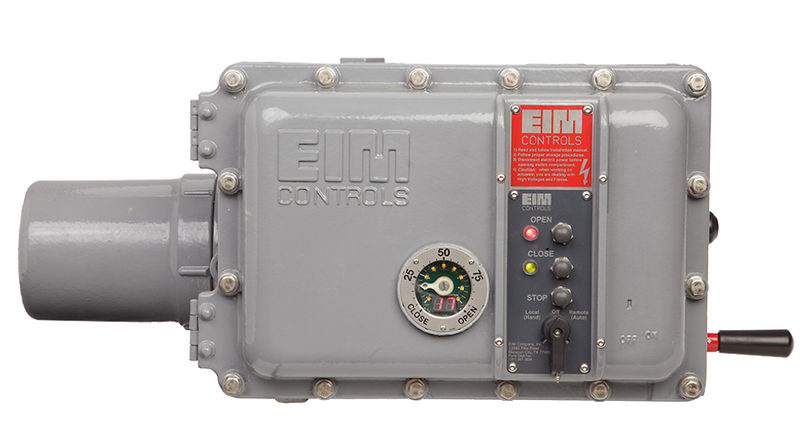 EIM actuators have performed continuously for more than six years in the refinery’s two coker units (eight drums total) where others have failed prematurely. The long life can be attributed, in part, to the Series 2000 gear train durable ductile iron housing and superior powder coating on all surfaces. Because of the rugged design of the EIM M2CP electrical control package and components, the vibration and violent shaking of the actuator during coking process has little adverse effect on the M2CP components. The smaller mass components such as the limit switches are also designed to resist destruction from inertia and momentum generated by operations.The other major design advantage is the ductile iron linear power train Series 2000 gear assembly which is built to withstand the high torque and thrust loads without cracking or deforming. This durability is important in order to maintain precise gear alignment for the rigors of high service demands. The EIM M2CP actuator is well-suited for operations where vibration and water hammer effect are present. There have been nearly no failures or unplanned service requirements in more than six years in the coke application. The plant has been able to conduct shutdowns on schedule. Actuators have been eliminated as a cause of process interruption. 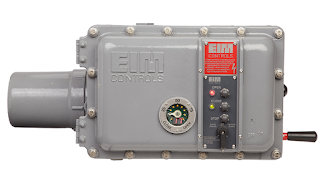 For more information about EIM actuators in Missouri, Kansas, or Illinois, contact Process Controls Solutions by visiting https://flowcontrol.processcontrolsolutions.com or calling (800) 462-5769.